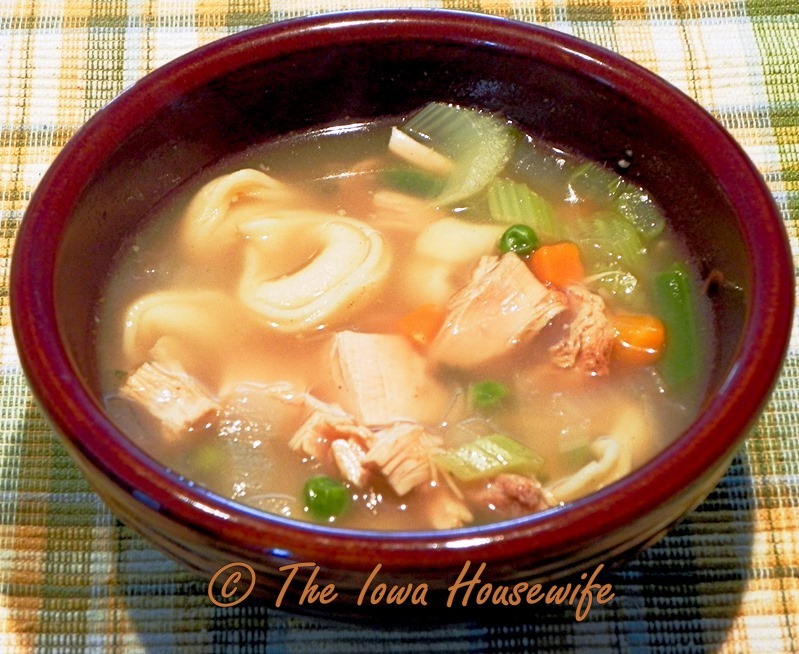 Here’s a fresh take on very easy, low calorie chicken soup. I can chicken or turkey and homemade broth just for recipes like this. Feel free to change the seasonings as you like, and either way you make it, it’s quick and delicious. Perfect for that busy fall day when time is at a premium. We served ours with a green salad, a slice of crusty bread and home-canned fruit for dessert. 1. In a large saucepan, bring broth and water to a boil; add chicken. Reduce heat; cook for 10 minutes. 2. Add remaining ingredients, cook 10-15 minutes longer or until chicken is no longer pink and vegetables are tender. Per Serving: 259 Calories; 8g Fat (28.6% calories from fat); 20g Protein; 27g Carbohydrate; 3g Dietary Fiber; 54mg Cholesterol; 871mg Sodium. Exchanges: 1 1/2 Grain(Starch); 2 Lean Meat; 1 Vegetable; 1/2 Fat; 0 Other Carbohydrates.